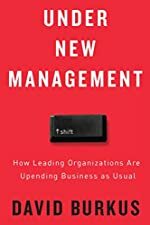 A provocative work that challenges the traditional and widely accepted principles of business management — and proves that they are outdated, outmoded, or simply don’t work. The revolutionary insights Burkus reveals here will convince companies to implement new ways to enhance productivity and morale. Tired of thinking about her worthless ex-boyfriend and the humiliating way in which they parted, Martha Bigalow goes on a hike hoping the dramatic hills of the English Lake District will help her to forget. But as she crosses an ancient set of stepping stones, she slips and falls into an angry river. Broken hearts aren’t always broken. Influence By Bart Hopkins Jr.
Cass Destry is delighted to take on a case that doesn’t seem very dangerous, after her last tense dealings with a stalker and serial killer. A young woman has apparently gone missing, if only in her mother’s eyes. She is likely sitting on a sandy beach somewhere sipping margaritas as she tans. But as the accidents and coincidences start..